The roster of competitors is set for the Google Lunar X Prize, a multimillion-dollar race to land a homemade robot on the moon. Twenty-nine privately funded teams have thrown their hats in the ring, contest organizers announced Feb. 17, and entries are closed. The teams represent 17 nations spanning four continents, and the competitors range from non-profits to university consortia to billion-dollar businesses. "The official private race to the moon is on," Peter Diamandis, Chairman and CEO of the X Prize Foundation, said in a statement. "What I find amazing is that when we first announced this competition, we thought there might be a dozen groups talented and bold enough to compete. Instead, we have nearly 30 teams of heroic innovators showing us a new way to the moon." An additional $10 million is set aside for second place and various special accomplishments, such as detecting water in lunar craters, bringing the prize's total purse to $30 million. The Google Lunar X Prize expires whenever all awards are claimed — or, failing that, at the end of 2015. 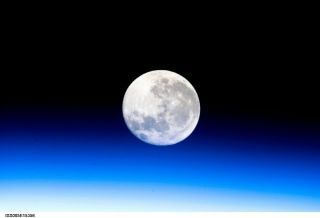 The prize, which was announced in September 2007, aims to spur the development of lunar resources and advance private spaceflight capabilities, competition officials have said. Until recently, 22 teams were known to be in the running for the prize. The new announcement reveals seven teams not previously known to be participating, including one based in Hungary and one headquartered in India. Several teams have hit some big milestones recently. In early February, for example, Astrobotic — a spinoff team from Carnegie Mellon University — announced that it had signed a deal with private spaceflight firm SpaceX to launch its robotic payload to the moon. That flight could happen as soon as December 2013, Astrobotic officials said. Last month, the Colorado-based Next Giant Leap team revealed that it had scored a $1 million grant from the not-for-profit Charles Stark Draper Laboratory to help develop its hopping lunar landers. And NASA recently announced that it will buy mission-relevant data from six Google Lunar X Prize teams, with contracts worth as much as $10 million each. "Teams have purchased launch vehicles, they are well into their design process and we have even seen NASA recognize the value of this competition by purchasing data from several competitors," Diamandis said. "I want to congratulate the teams that have registered. We are excited to see what they will accomplish in the coming years."